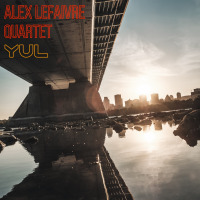 Alex Lefaivre is a bass player, composer and label owner based out of Montreal, QC, Canada. Equally proficient on both the upright and electric bass, Alex is a fearless original known for his unique artistic voice, passionate work ethic and easy going personality. He has had the pleasure of performing with artists such as Rafael Zaldivar, Samuel Blais, Rémi Bolduc, Kalmunity, John Roney, Jacques Kuba Séguin, Paul Merkelo, Sonia Johnson, Erik Hove, Andy King and Rachel Therrien.. He will release his first album under his own name, YUL, on August 3rd 2018. In 2007, Alex co-founded Parc X trio, one of Canada’s premier jazz groups. Parc X Trio have released 7 recordings, the latest of which, Dream, is released through Challenge Records International. They have toured across Canada, Mexico, the USA and Europe and continue to maintain a busy schedule. Parc X Trio have won many awards and distinctions including the Grand Prize for Jazz by the Festival International de Jazz de Montréal in 2010. In 2011, Alex co-founded Multiple Chord Music (MCM), an independent record label that promotes local talent, mostly in the jazz vein. 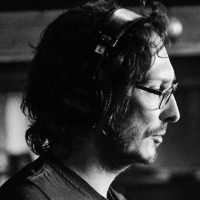 The label currently has 19 artists on its roster and has released over 30 recordings. All About Jazz musician pages are maintained by musicians, publicists and trusted members like you. Interested? Tell us why you would like to improve the Alex Lefaivre musician page.